The Bosque is happy to welcome Jairo and Javiero, two amazing guys from Zacatecas that will be helping out at the Bosque and setting up their own programs. Javiero is the new director of Centro Jobutsu, a secular spiritual center that focuses on group and personal retreats for guests. 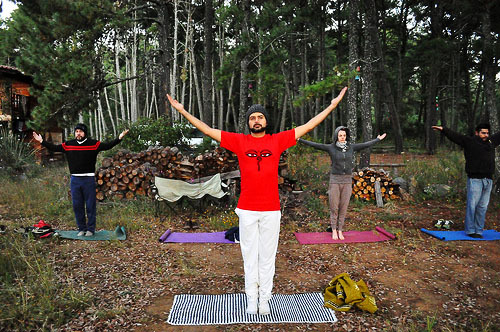 Javiero also leads yoga a few times a week for Bosque guests. He is multi-talented! Javiero has a degree in architecture and will help Brian draw up some building designs in Auto-CAD. 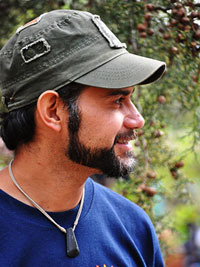 Javiero is an artist; within the first week he discovered that the Bosque has patches of clay that he has used to make pottery, firing the pottery in the fireplace at night. With the help of visitors, he created an amazing base for the Day of the Dead ofrenda, using sawdust that he and Jairo colored with natural vegetable dyes. What’s more, Javiero is a natural leader. 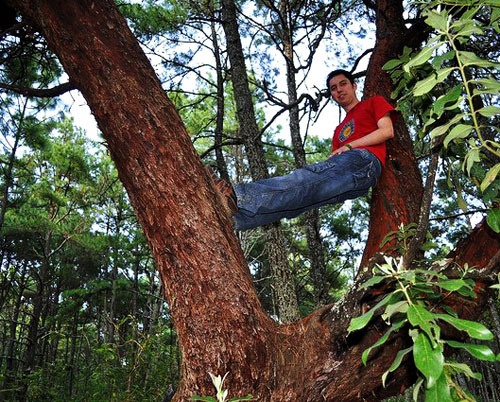 Javiero has been an active participant in previous Bosque events, always helping create a positive atmosphere. 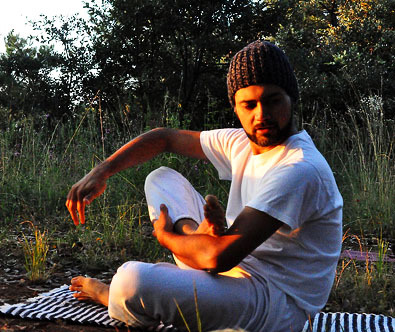 During the Day of the Dead event, he led yoga at six in the morning so guests could enjoy movement while watching the sunrise. 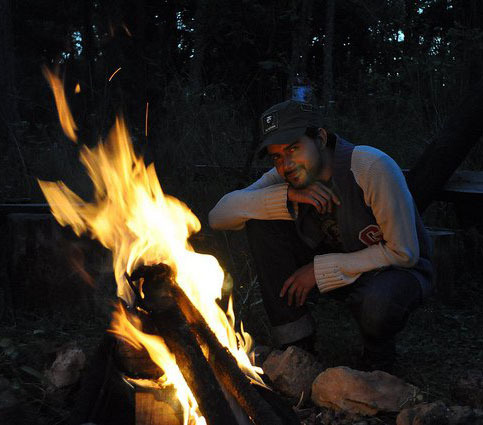 He also led an amazing temazcal - a sweat lodge experience to purify the body. And he coordinated all activities so that guests could enjoy Day of the Dead in the nearby villages as well as events and activities through Centro Jobutsu. 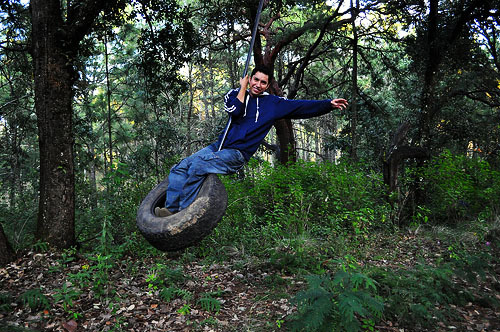 Jairo is an aspiring vegetarian cook and a beginning language teacher. Since he has arrived to the Bosque, he has done a lot of work in the kitchen, learning and cataloging existing recipes as well as contributing new recipe ideas. His passion for food comes from his parents, who taught him how to cook when he was a child and also taught him farm skills such as cheesemaking. He has been a vegetarian for two years and is interested in healthy, vegetarian food. Jairo is also interested in languages - both learning English (he knows more than he admits!) and teaching Spanish. We will work with Jairo to create both a beginning and intermediate Spanish learning program at the Bosque. 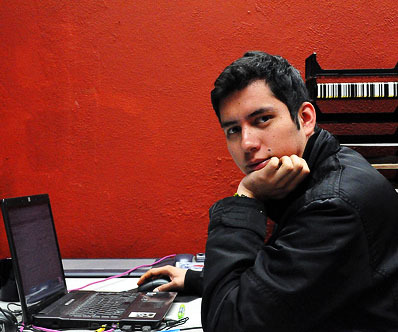 Beyond his skills in teaching and cooking, Jairo is a programmer, with a degree in Computer Engineering. He was immediately helpful setting up the Centro Jobutsu website, and we are looking forward to his help with our databases. Jairo is also helping Brian get the Bosque map cleaned up and ready to print. Welcome to the Bosque, guys! You are currently browsing the News and thoughts from the Bosque Village weblog archives for November, 2010. Entries (RSS) and Comments (RSS). 18 queries. 0.659 seconds.